No, it has nothing to do with Mesothelioma, talcum powder, or hernia meshes. A law firm by the name of Bronstein, Gewirtz & Grossman, LLC announced today (via Apple Insider) that it will be investigating whether Apple, its officers and directors, violated any federal securities laws related to the Thursday massacre that wiped out 10% of Apple's stock valuation in one day. The investigation will determine whether the law firm will go forward with a class action suit against Apple, and any of its officers and directors. The problem started Wednesday after the 4pm ET market close. Apple's shares had closed at a price of $157.92. Minutes later, the company announced that it was lowering the guidance range of its fiscal first quarter revenue due to lower than expected iPhone upgrades in China. Suddenly, all hell broke loose and Apple's shares dropped sharply in after-hours trading. The sellers continued the onslaught on Thursday morning, and for the entire day Apple's shares had declined by 10%, or more than $15, to $142.19. The law firm points back to a comment made on November 1st by Apple CEO Tim Cook. After reporting fiscal fourth quarter earnings, Cook said, "[o]ur business in China was very strong last quarter. We grew 16%, which we're very happy with. iPhone in particular was very strong, very strong double-digit growth there." That contrasts with the statement made by Apple after the market close on January 2nd, which triggered the selling yesterday. That comment said that for the current fiscal second quarter, Apple now expects "[l]ower than anticipated iPhone revenue, primarily in Greater China, [which] accounts for all of [Apple's] revenue shortfall to [its] guidance and for much more than [its] entire year-over-year revenue decline." Bronstein, Gewirtz & Grossman could be trying to determine whether Cook's comments on November 1st were accurate and truthful. If investors relied on a false statement to purchase Apple's stock, the company could be forced to make them whole at the least. But a judge will first have to certify any potential class action suit, which is when one plaintiff represents a large number of class members with similar claims, in court. Any monetary awards are split up between members of the class after the attorneys take their cut, usually 25% to 30% of the total amount awarded. I remember some die hard Apple zealots like apple-rulez telling everyone now is the time to buy Apple stock again. I guess he is too embarrassed to say anything here. Only a fool would buy Apple stock right now. Besides Apple is going to buy back a good portion of their stock. Very little of what Tim says is truthful, especially in keynotes. Let's be honest here. Bronstein, Gewirtz & Grossman's main goal is to line their own pockets with money and not about real justice! Pretty much describes every law firm. Damn is that the truth. That describes pretty much every for profit business actually. Investors are taking it by their own hands, I'm sure most of them now felt that they were duped by cook's november statement so somebody called the law firm. Good luck to apple if the class action suit continue. It should be yes, but if the investors are behind this it will hurt apple a lot more in the long run. Apple needs the approval from their investors a lot more than from some potentially corrupt commission. The thing is if this lawsuit uncovers anything relevant, they'll start sniffing around themselves and other similar instances worldwide will likely do the same. This is investors feeling duped by Cook's November statements. A company like Apple wouldn't get caught off guard to such an extent easily for a company so heavily invested in China. That's true of every major corporation. Apple/Cook is getting it left and right the last couple weeks. I'm sorry, when you invest in stock you're in to lose or win. That is true except when the company whose stock you bought said they were growing when they knew that was a lie. I'm sorry but I have no sympathy for this. As an investor, it is incumbent upon you to do your own due diligence. As long as the numbers provided in November were factually accurate, it is your responsibility to draw your own conclusions on their potential future performance. Of course the CEO is going to tend toward optimism in his own speculation. You can't do due diligence if the company is not honest with their current run rate. I feel that Apple will weather the storm. They are going to buy back stock. And lose a lot of money like that law firms client or it might just be another lie and he is dumping stock and tell you he's going to buy. It should be pointed out that Cook's November comments were in direct contradiction (and probably in response to) already existent rumors that iPhone sales were disappointing (https://www.phonearena.com/news/apple-iphone-xr-sales-lower-than-predicted_id110693 ). Coincidentally (?) 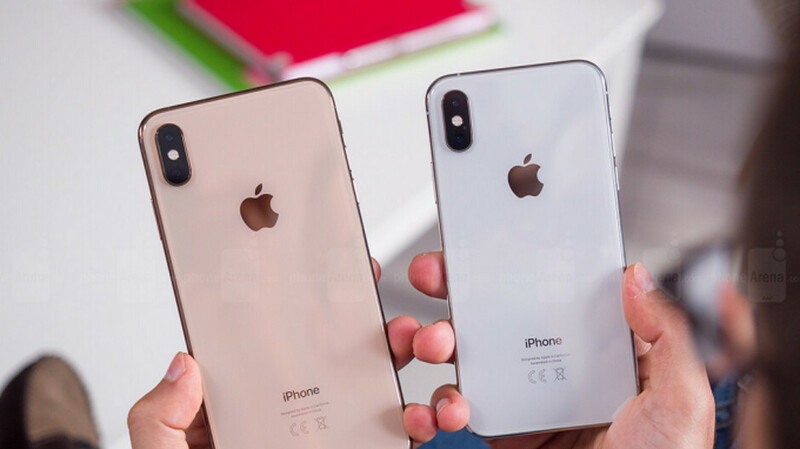 Apple announced that they would no longer break out iPhone sales.To say that Apple was unaware of the situation prior to the November call strains credulity.